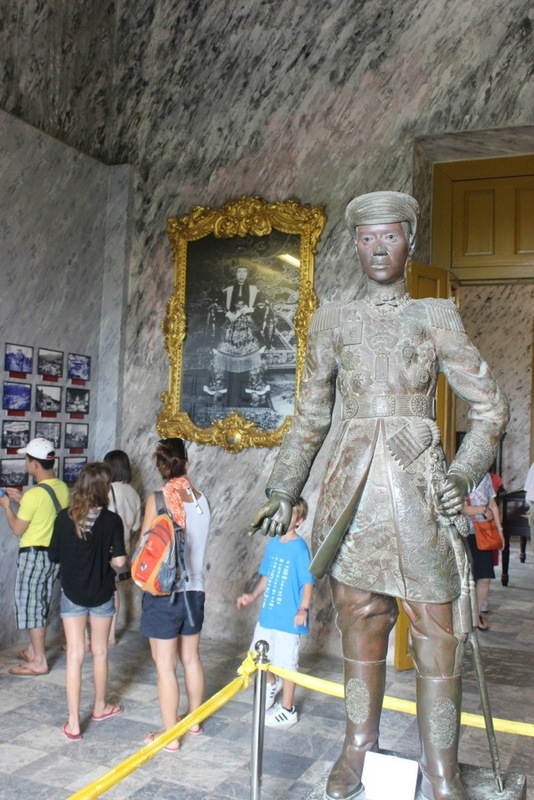 King Khai Dinh designed this tomb for himself- it was pretty elaborate. There were lots of mosaics which reminded me of the Thai temples. 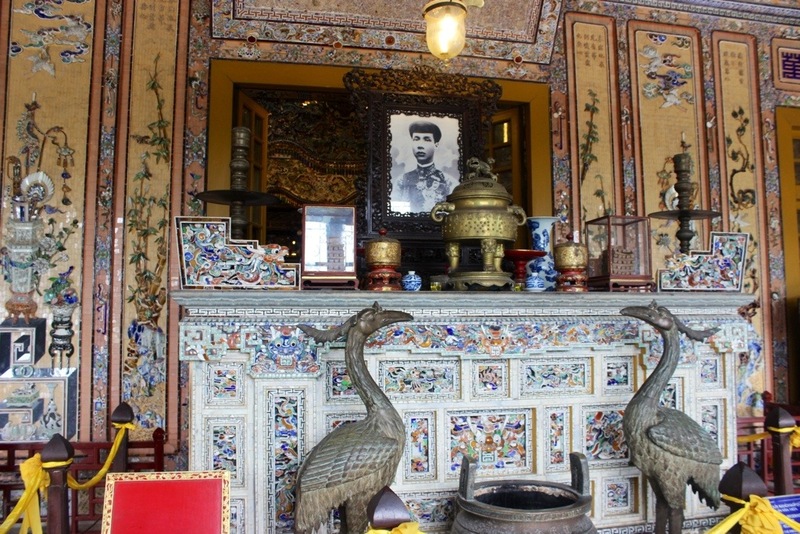 One of the temples in Bangkok was decorated entirely of old dining china. The story behind it is kind of interesting. A king was moving into a new home so he wanted all of his fine china transported to the new house. A majority of it broke while in transit. Instead of throwing it away, he had artists shatter it even more and make mosaics out of it that covered one of the temples entirely. Waste not, want not! 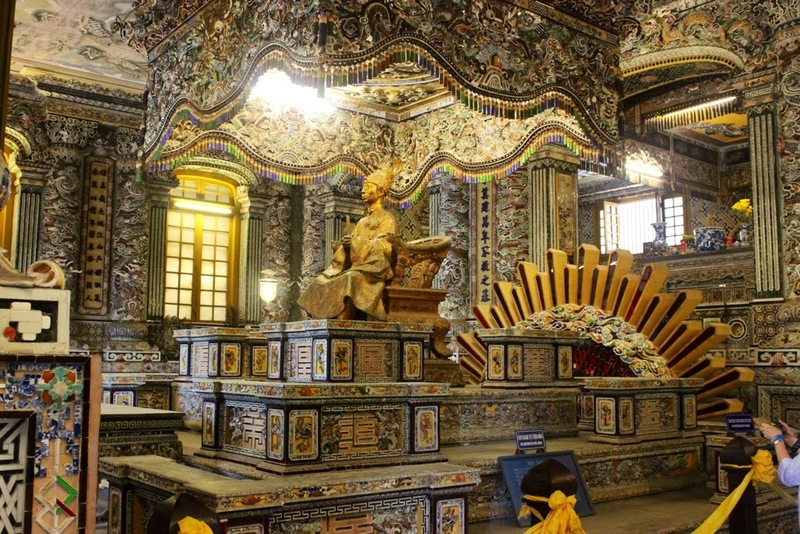 The tomb in this picture is not decorated with broken china, but with gold and jewels.